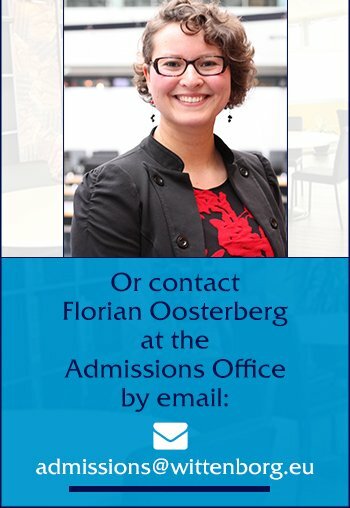 Prepare for study and life at Wittenborg University! If you are an international student, and you need additional preparation and support in English or foundation subjects to complete undergraduate or postgraduate study at Wittenborg University of Applied Sciences, then the Foundation Programmes with Intensive English Language course, based on the IELTS exam style, offered at Wittenborg can help you develop the skills and knowledge to succeed in your degree. Pre-Bachelor's: Foundation Modules of the Bachelor International Business Administration, together with intensive lessons of Academic English. Minimum IELTS level of 5 required for entry. On successful completion, students will be awarded an IBA Foundation Year Certificate and progression to the bachelor's degree programme, with exemption for all IBA credits already achieved. This programme is for students wishing to study the Master of Science in International Hospitality, International Tourism or International Event Management and require or would like to study a half-year master's preparation course that will fully prepare them for their chosen MSc programme. Students only have to choose the Master of Science pathway at the end of the first semester, allowing complete flexibility. Wittenborg University offers an intensive IELTS English preparation programme for entry into its undergraduate and postgraduate programmes. Students with an IELTS level 5 are offered a full, 1-year IELTS English programme. If progress in the target language reaches a 5.5 level of IELTS, then students can combine a number of business modules from the first year of the International Business Administration. This decision rests with the tutor and coordinator of the foundation course. Students whose entry level is IELTS 5.5 are offered a half-year preparation programme before starting their chosen bachelor's pathway. NOTE: The IELTS Preparation Programmes start 6 times a year, which means that as soon as you have completed your IELTS test successfully you can stream into the bachelor's degree programme at the next entry point (also 6 times a year). For master's students, there is a special Advanced Academic IELTS programme offered as part of the Pre-Master's programme. This starts in February, allowing students to start their chosen MSc programme in September. Master's entry IELTS = Academic IELTS 6.5 with at least a 6 for the writing component. Wittenborg also carries out its own internal testing known as WELTS, which mirrors the IELTS examination. This testing is carried out by experienced IELTS teachers, and is used to monitor entry levels and progress throughout the programmes.